These are the follow-up poses that can be performed just after Upward Extended Feet Pose. 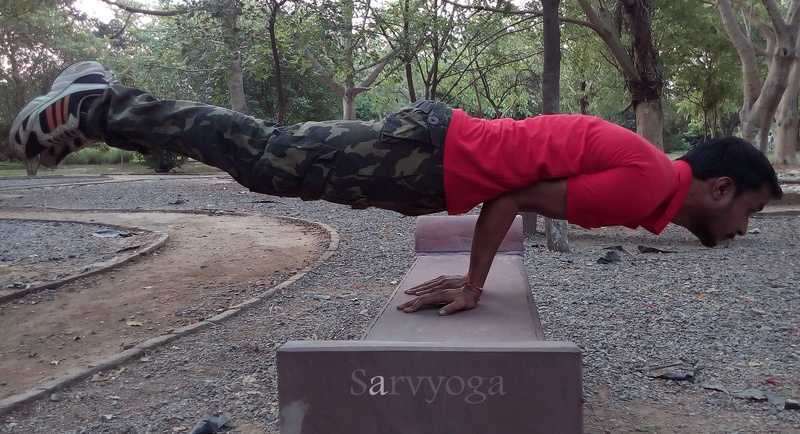 In Sanskrit, Upward Extended Feet Pose is known as “Urdhva Prasarita Padasana”. In which, Urdhva means upward, Prasarita refers to spread/ extended and the “Pada” stands for feet or foot. UPP (Urdhva Prasarita Padasana) use your core muscles so it’s mandated to perform Urdhva Prasarita Padasana in right way. You can perform Upward Extended Feet Pose in one phase but it’s good if you practice Urdhva Prasarita Padasana in three Phases. So, here we describe both steps of Upward Extended Feet Pose (One Attempt steps and Three Phase steps). 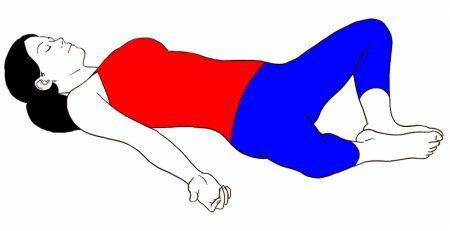 The position of Asana: – Supine. First, come into the Reclined Mountain Pose (Supta Tadasana) and place your arms down to the sides of your body. Breathe out, lift your both legs up and take them to vertically (90 degrees) and hold it. Breathe out during this lower down your legs just about a third on the air (till your lower back starts to come up of the ground) Hold for few seconds. Again, Breathe out along with lower down your legs around 2/3 (two-thirds) of the way to the ground. Remain in the pose. Breathe out and lower down your leg about few inches from the ground/floor and hang on. Now, you can put your legs to the floor or you can also put them up to vertically at 90 degrees with pausing at each step. If you’re comfortable with above-mentioned steps of Upward Extended Feet Pose then try three phase steps. But Three phase needs strong abdominal. Keep in your mind strictly avoid strain the neck, facial muscles and your throat. You have to keep them relax during the process. 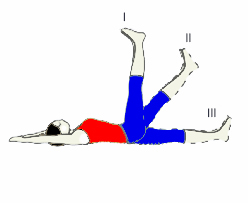 Lie down on your back along with stretch your leg along the floor. After that extend your arms by the side of your body. Next, turn your palms facing towards the ground. After that, bend your legs (both) keep your feet on the ground/floor. Now, slowly bring your heels to the direction of hips (with knees and feet together). Next step, raise your legs with a bend from hips. Place your thighs towards the abdomen. Lift your legs, bending from the hips to bring your thighs in toward your abdomen. Remain on your back, full stretch your legs to the ground. Next step, extend your arms on the side of your body (keep the face of your palms down). You have to bend your knees, keep your heels just near to your hips. After that, you have to twist (bend) your legs at your buttocks for bringing thighs to the direction of the abdomen. After this, stretch your legs towards the ceiling. Hold the muscles of your knees during this keep your thighs strong. 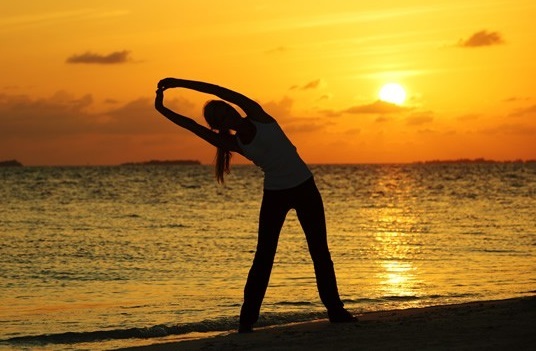 The last step, stretch your arms over your head and keep your palms face up (hold the pose about 20 to 30 seconds). Get down on your back. Extend your legs to the ground. Then, stretch out arms over to your head and your palms facing towards the ceiling. After that, push your arms backs down and enlarge your chest. Keep your thighs strong along with grab the knee muscles. Raise your both legs vertical at 90 degrees. Remain in the Pose for 20 to 30 seconds. Last, slowly lower down your legs and keep them on the ground. Urdhva Prasarita Padasana helps to cure stomach related problems as well as improves your digestion. Upward Extended Feet Pose corrects your alignment and body posture. Best workout for weight loss and obesity and it improves your breathing. 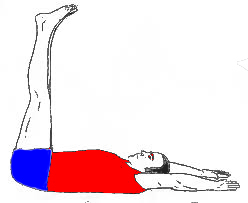 Regular practice of Urdhva Prasarita Padasana reduces abdominal fat. Makes your abdominal stronger also tones your abdomen. It improves the strength of your spine. Improves the flexibility of your hip. Here are some important notes that are very essential for you before performing the Urdhva Prasarita Padasana. Strictly avoid Upward Extended Feet Pose in the neck, lower back or back injuries as well as in Sciatic pain also. Pregnant women should not perform this pose during periods or pregnancy. You can also use yoga strap for stretching both legs easily but don’t go beyond your limits. If you realize some pain or strain then immediately stop it. Do all the Yoga Asana & Pranayama in front of an expert teacher.